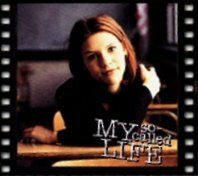 I have this strange urge to rewatch all of My So-Called Life. Just in a row, all in one day. I loved that programme so much, everything about it, the cast, the script. It had everything - Even the music, I adore that song, Blister in the Sun, because everytime I hear it, I think of Angela dancing crazy on her bed. The worst feeling is suddenly realizing that you don't measure up. And that, in the past, when you thought you did, you were a fool. Sometimes I think if my mother wasn't so good at pretending to be happy she might be better at actually being happy.